This Flying Nimbus pet cushion is shaped like the yellow cloud Goku uses for transportation in the Dragon Ball series. Big enough to accommodate most medium-sized dogs and all cats, the bed can only be ridden by pets with a pure heart. Light up your life using the power of a Saiyan with this Spirit Bomb light! Touch the high frequency plasma sphere for an awesome array of arcs and an impressive power display from Goku. Careful switching it on or you may destroy the planet! Your wish for lunch has been granted by Shenron! This four-star dragon ball from Dragon Ball Z is actually a bento box in disguise. There is a handle on the top for easy carrying and the ball opens to reveal two levels to pack your lunch. Work out like a Super Saiyan in this Dragon Ball Z racer back sports bra! The orange Goku inspired top has a blue elastic band printed with Dragon Balls and removable padding. On the front and racer back are matching character logos. Trick people into thinking you have gained superhero powers with one of these floating orb props! Great for adding the perfect finishing touch to cosplays of Dragon Ball Z, Naruto, Street fighter and many more possibilities. This Dragon Ball Z heat changing mug is shaped just like a Saiyan’s Space Pod! Pour your hot drink in it and you will make Vegeta appear inside. 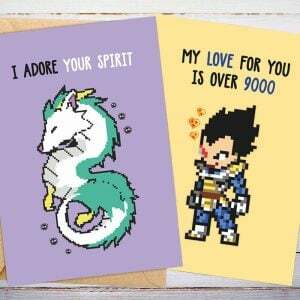 Makes the perfect gift that is guaranteed to impress any Dragon Ball Z fan. This Dragon Ball Super Vegeta-inspired backpack is fit for a Saiyan Prince! Side utility straps with metal buckles and front Capsule Corp metal plaque. Front zipper pouch, main zipper pouch with tech sleeve and a water bottle pocket. Goten and Trunks from Dragon Ball Z perform the Fusion Dance on your pillowcases to help create a more sleepy version of you. Hopefully they succeed, otherwise they’ll just make you more powerful and definitely not sleepy! Awaken the power of the Dragon Ball with this replica lamp! Bringing to life the iconic four star Dragon Ball, this spherical lamp runs on a USB-powered rechargeable battery. It’s portable and can be moved from your desk to your nightstand with ease. Immortality is just one cookie batch away! Gather forth the seven Dragon Balls in your kitchen and summon the immortal dragon Shenron to grant you any wish. Ask to bring Krillin back to life or maybe get more delicious cookies! Stay trendy the next time you’re showing off some fighting moves by sporting this amusing “Just Kamehameha It” t-shirt. This parody tee spoofs Nike’s classic slogan to better reflect your inner Saiyan and love for Dragon Ball Z. Throw out the Saiyan battle armor and try on the manliness pink shirt you could ever own! Vegeta’s most hated shirt has been designed and printed to capture the exact look of his signature BADMAN shirt that Bulma once forced him wear. Show off your proud Saiyan race as you prepare for battle! While these vests may not actually stretch as you transform into a Great Ape, they’re made from lightweight and durable materials to provide a comfortable fit. As if losing Bulma wasn’t enough, Yamcha has to deal with being dead now too? One of the more meme-able moments from Dragon Ball Z is now captured perfectly with this Summer exclusive Dead Yamcha Pop!